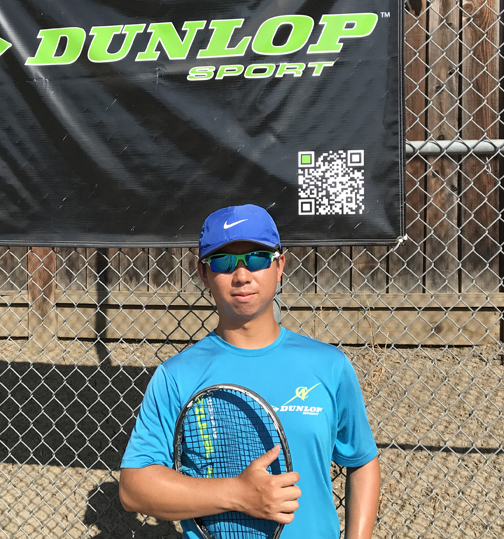 At age 10, Kyle picked up Tennis through his brother, fun sport turned serious as he enrolled in tennis training program in the Cupertino area. Kyle quickly improved and played tennis throughout Middle School and eventually progressed to Varsity team at Monta Vista High School -one of the top High School for Tennis in the State and certainly in the Bay Area. Towards the end of his high school career, Kyle played #1 for his Boys 18s league team and started training with the De Anza College Men’s Tennis Team for a few seasons. Because of his busy schedule, Kyle unfortunately could not compete for the Men’s Tennis Team there. By the age of 22, Kyle started coaching at various tennis programs in Santa Clara and Cupertino area while competing in the 4.5 flex league as much as his schedule allowed. Kyle joined NorCal Tennis Academy with over 5 years of coaching experience. He has worked extensively with junior players. In less than 6 months joining NorCal Tennis Academy, Kyle has successfully completed the USPTA professional certification exam. He later on completed more competitive training at the world renowned Sanchez Casal Tennis Academy in Naples, Florida. Coach Kyle is an essential part of our coaching team at NorCal Tennis Academy, he is responsible for a wide range of players from coaching beginners to serving as hitting coach to high level juniors and ITF Professional women players. Kyle is a Dunlop coach, sponsored by Dunlop Sports America.